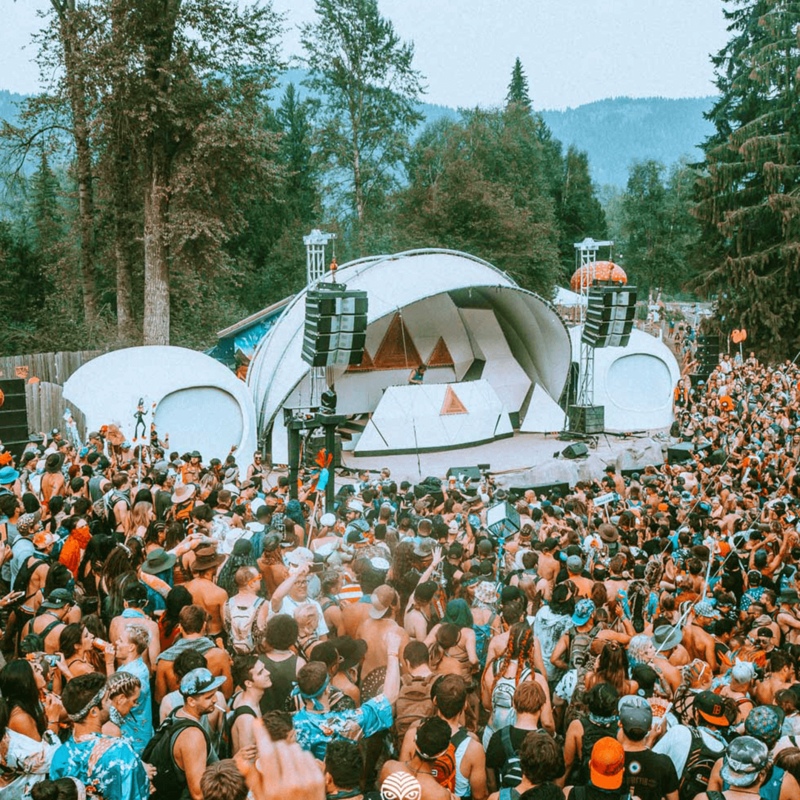 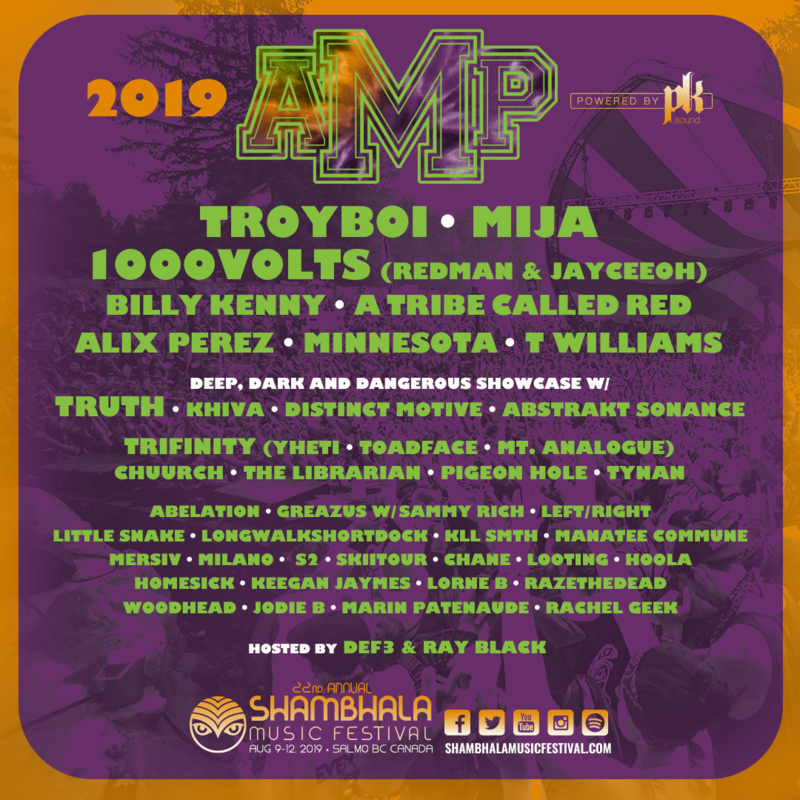 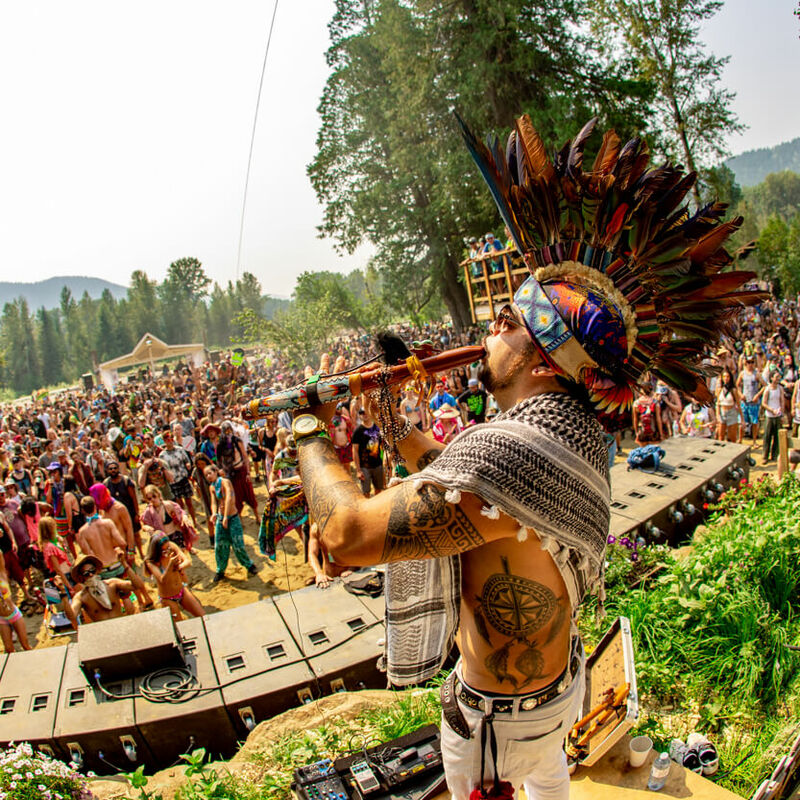 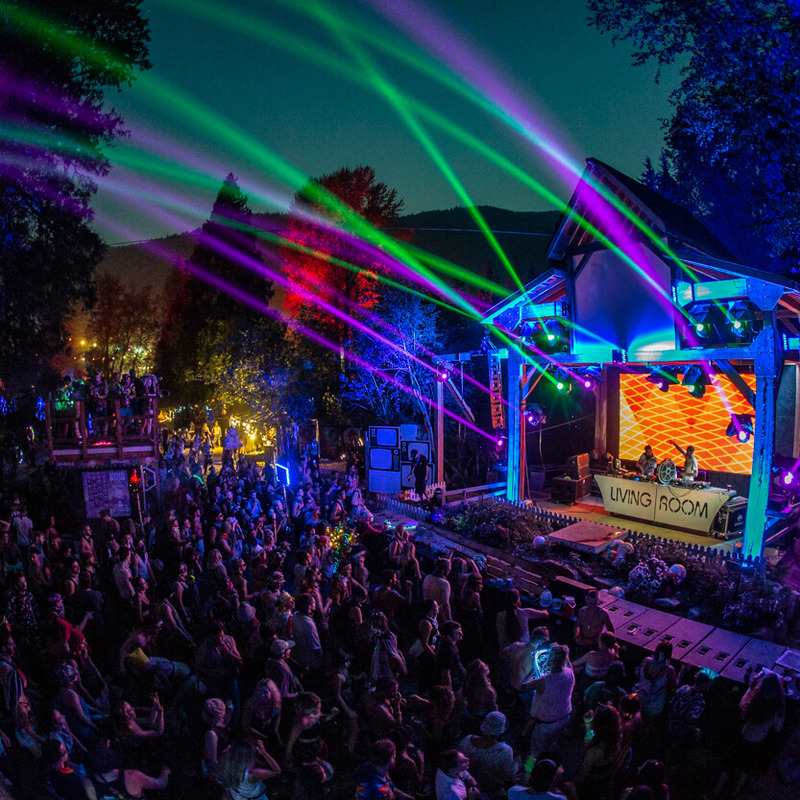 Situated in the downtown core at Shambhala, the Amp Stage will be your initial dancefloor offering as you arrive home. Flanked by lush gardens on one side and our beloved vendors on the other, this zone is a hub of activity day and night. 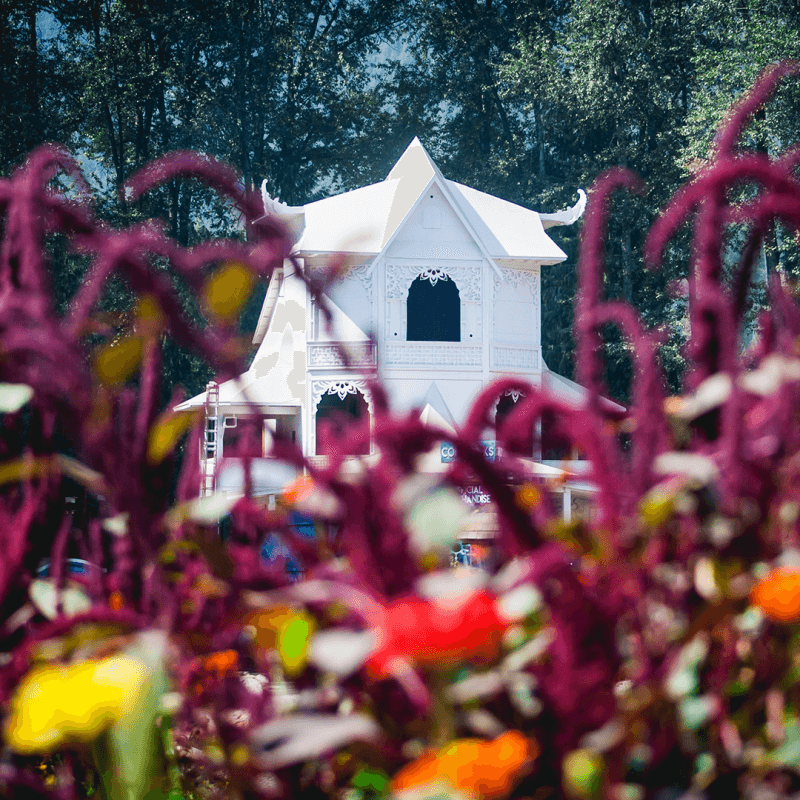 Our large shaded area is a welcome respite for daytime listeners searching for a change of pace. 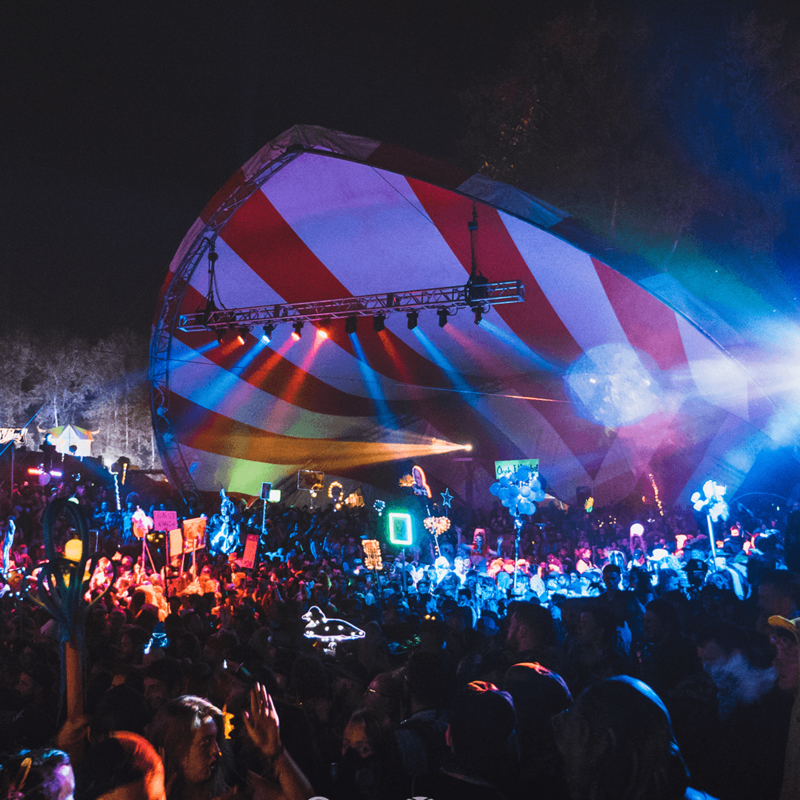 As night falls, party-goers are invited to feast on our PK Sound system, Lighthead environment, and mind-altering stage performances. 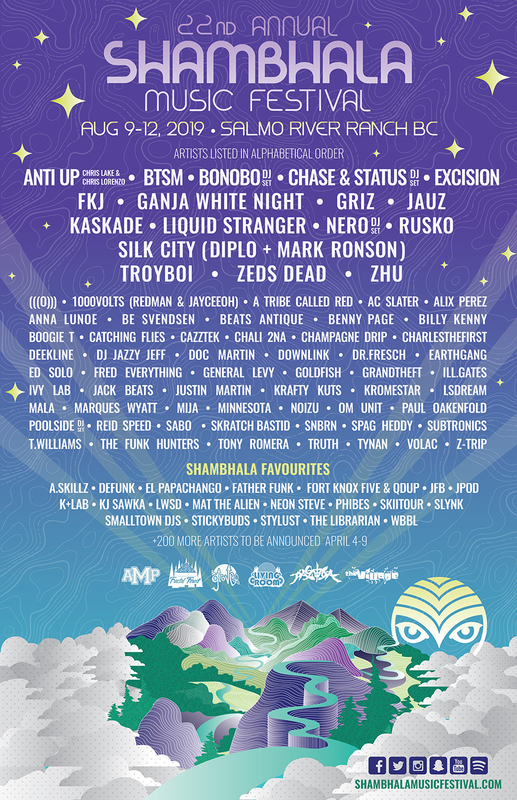 All styles and sounds are represented here, we don’t judge! 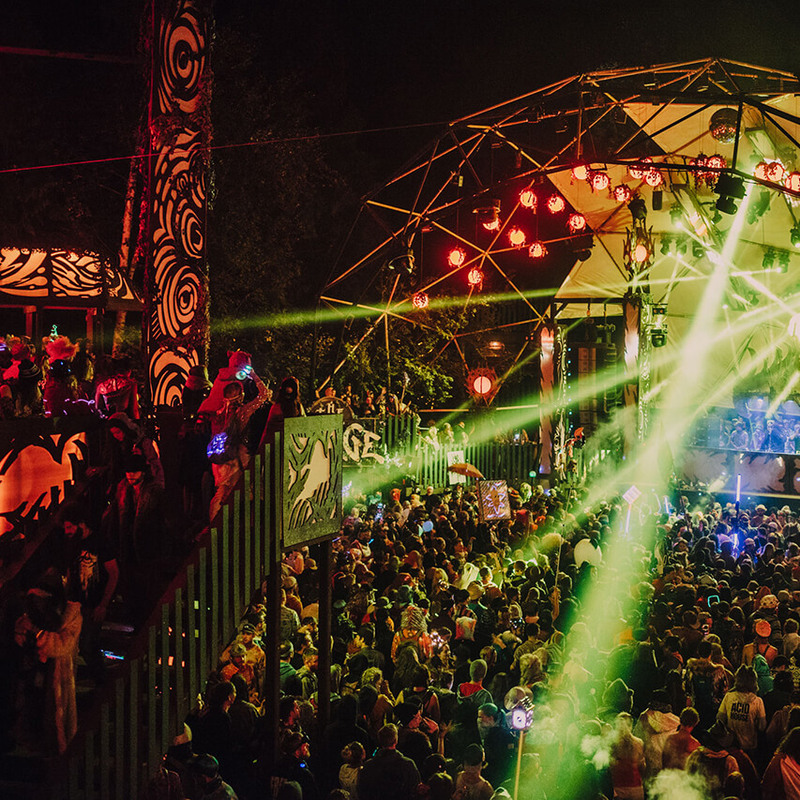 Fractal Forest aka The Funkiest Show On Earth is a magical journey on the Mothership through Space, Time and the Universe of Funky Beats. 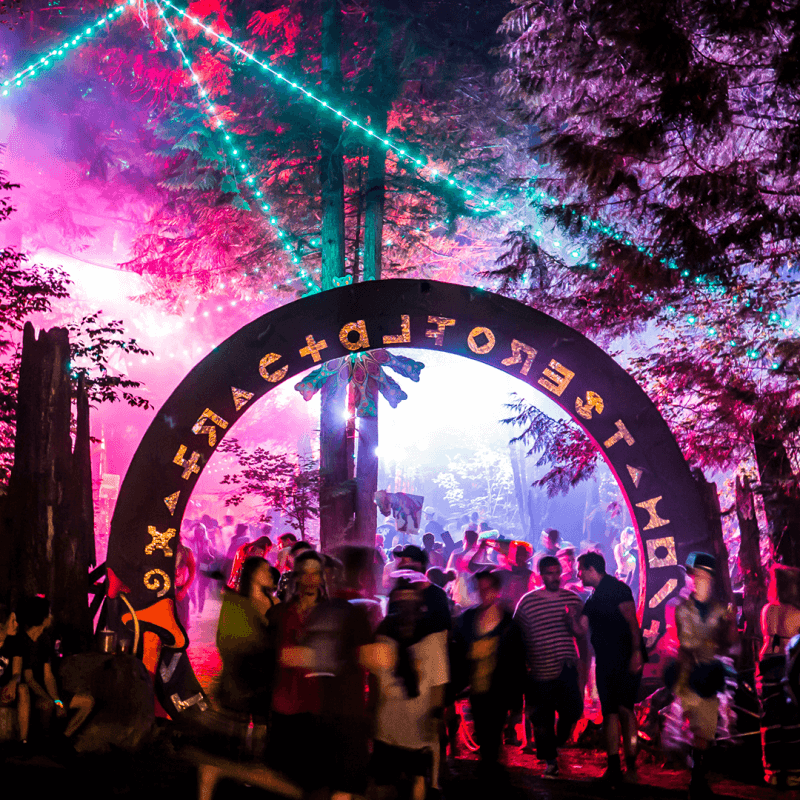 Let yourself go, as you are transported to another dimension where all is blessed with great times, warm smiles and booty shaking sounds of bliss. 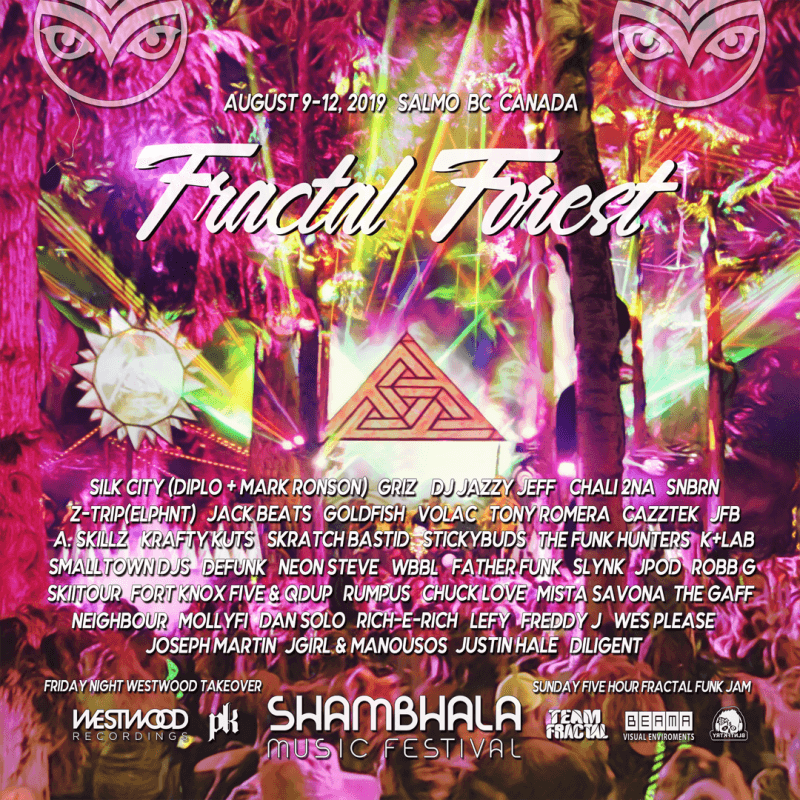 21 years in the making, Fractal Forest will be raising the bar once again this year adding to this truly unique experience unlike any other in the Solar System…please join us on this sacred trip of Enchanted Enlightenment. 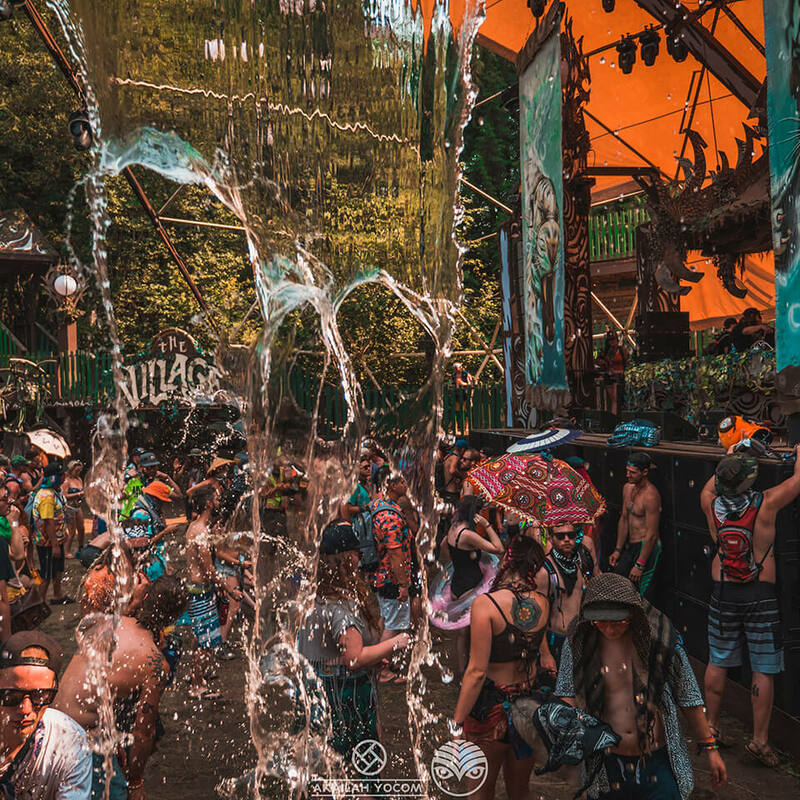 At the beach stage you can, kick off your shoes, make yourself at home, and cool down in the sacred waters of the Salmo River. 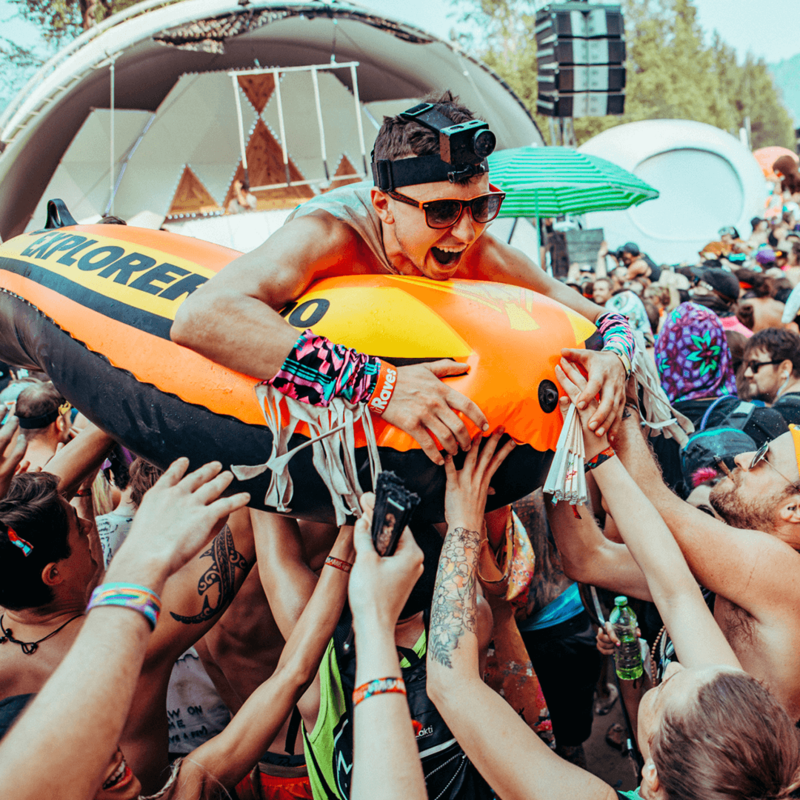 Enjoy the familiar, chilled-out, funked out Living Room vibe that wraps its arms around you at the most crucial times–whether it be a short break from the madness during peak party hours, or some sunny relaxing riverside riddims. Many people call Shambhala ‘home’ and every home has a Living Room: A comfort space where you can relax and host friends and family. 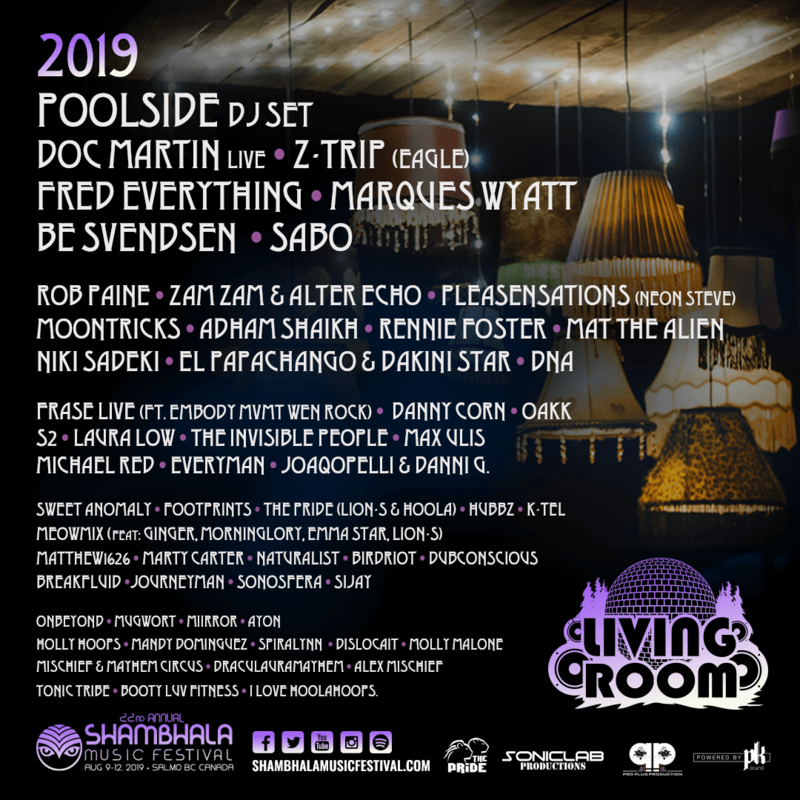 Deep Roots, however interpreted, is the feel of the LR – organic dubbed out funky soul and rare groove beach fun by day, transforms by sunset into a mix of even deeper heavier grooves, tasteful house vibes and all other sorts of electronic mysteriousness. 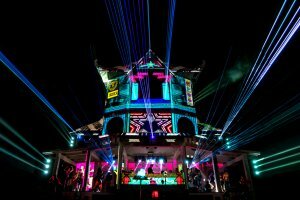 Rocking a full PK system, and with a full array of LED panel visuals, lights and lasers, the Living Room is a feast for the senses. 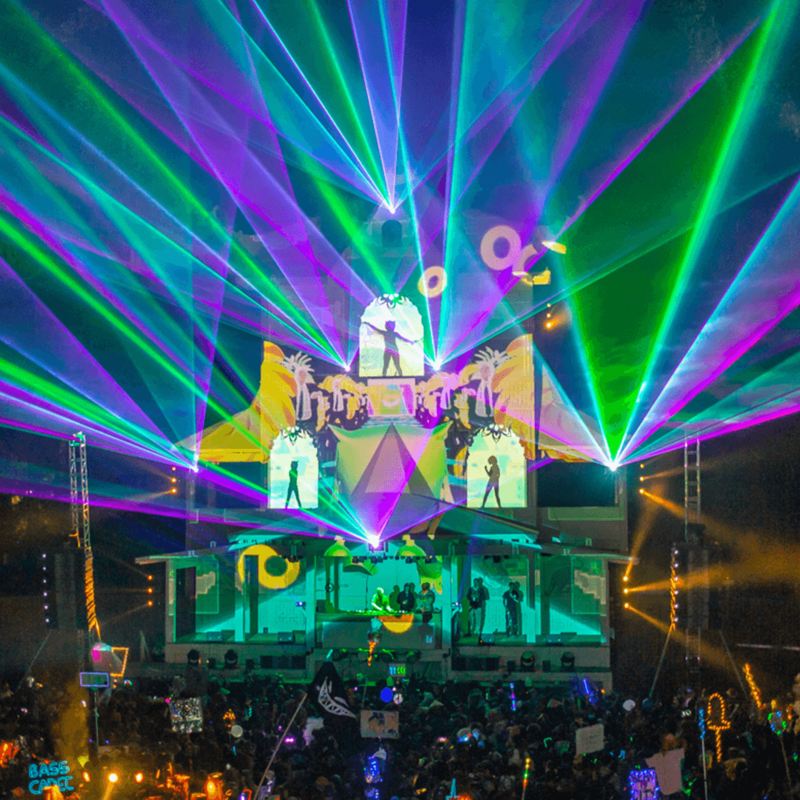 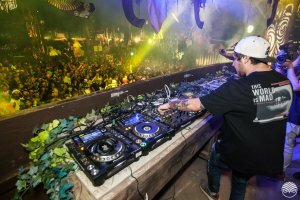 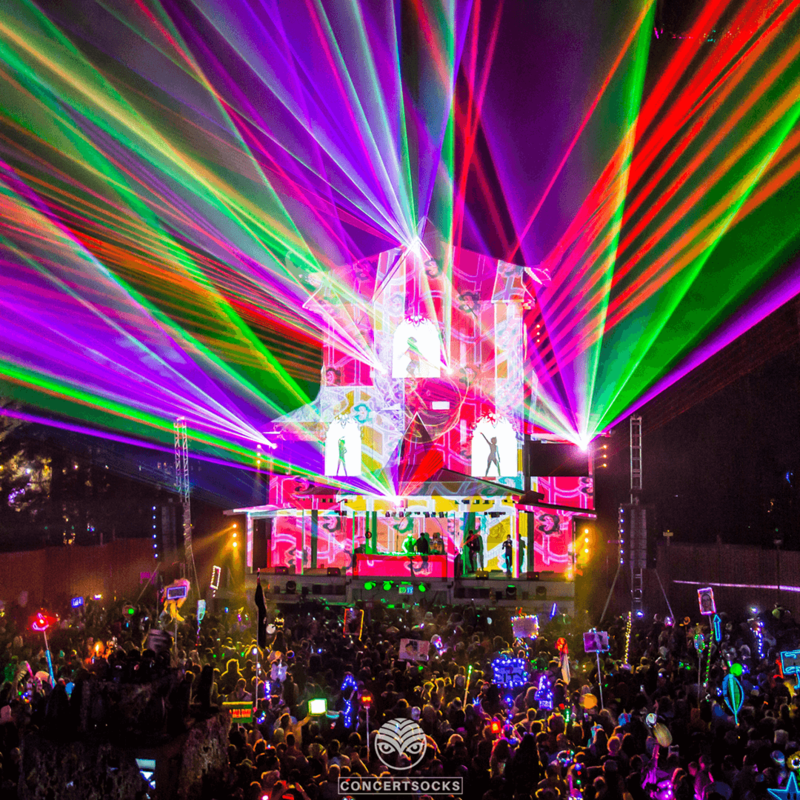 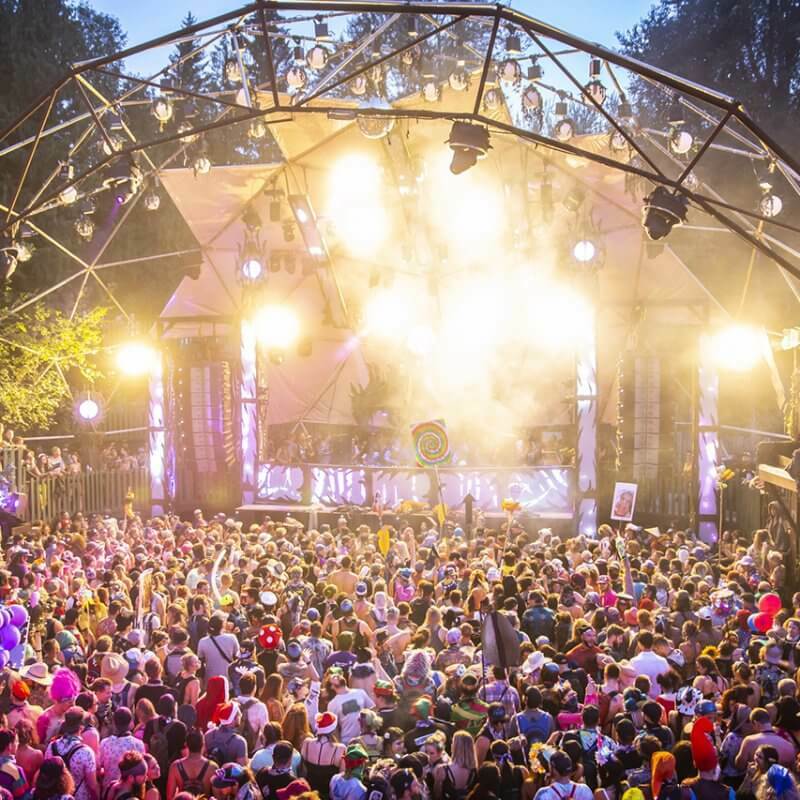 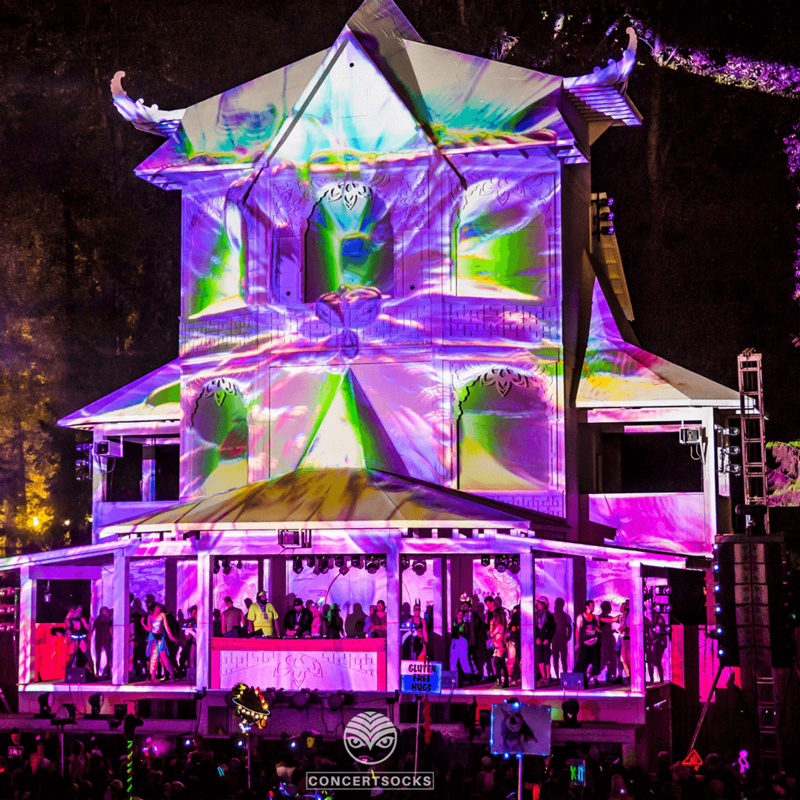 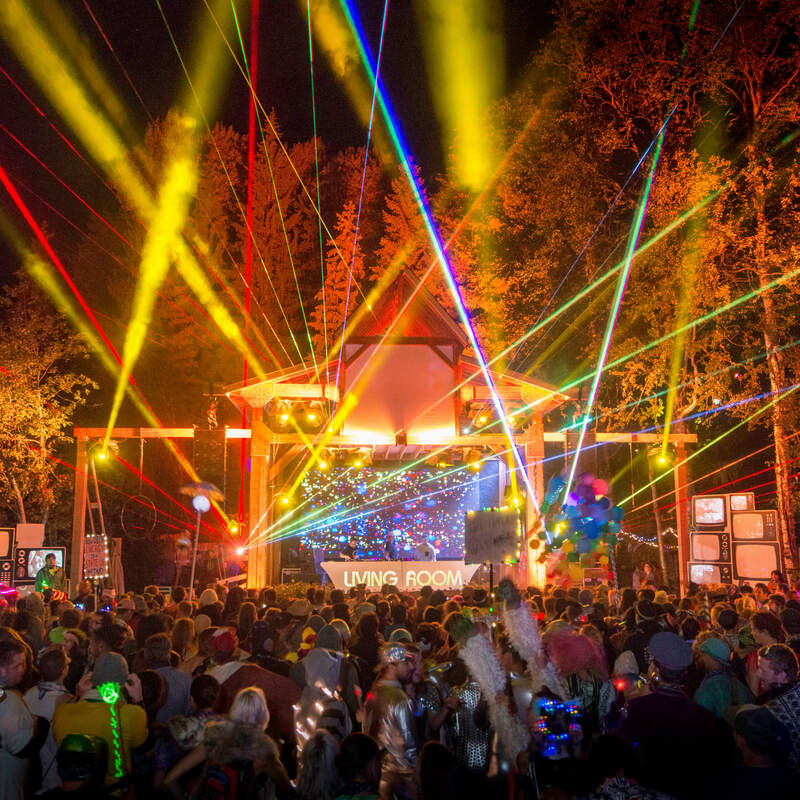 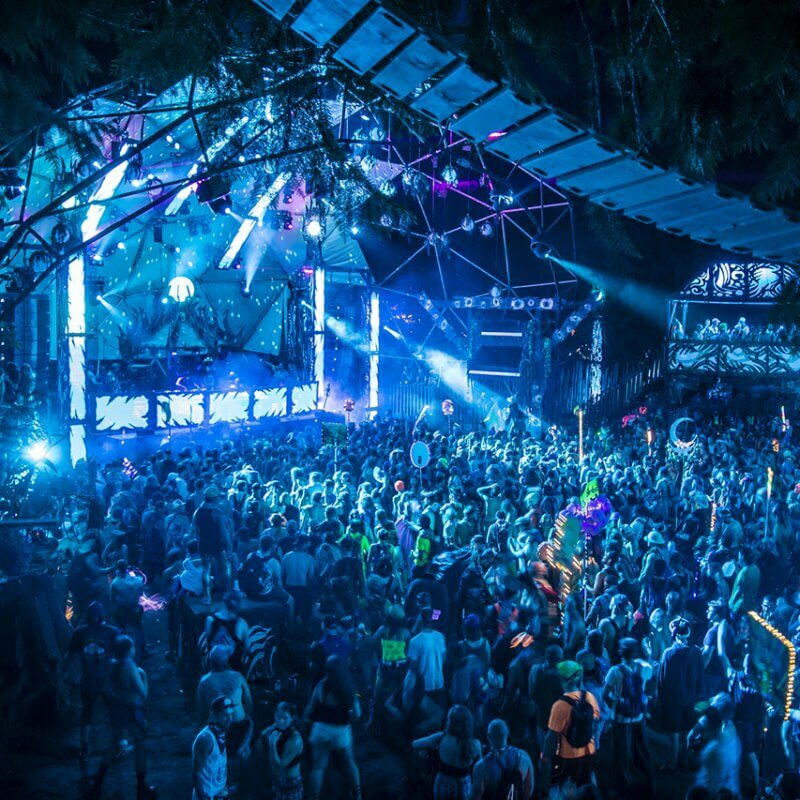 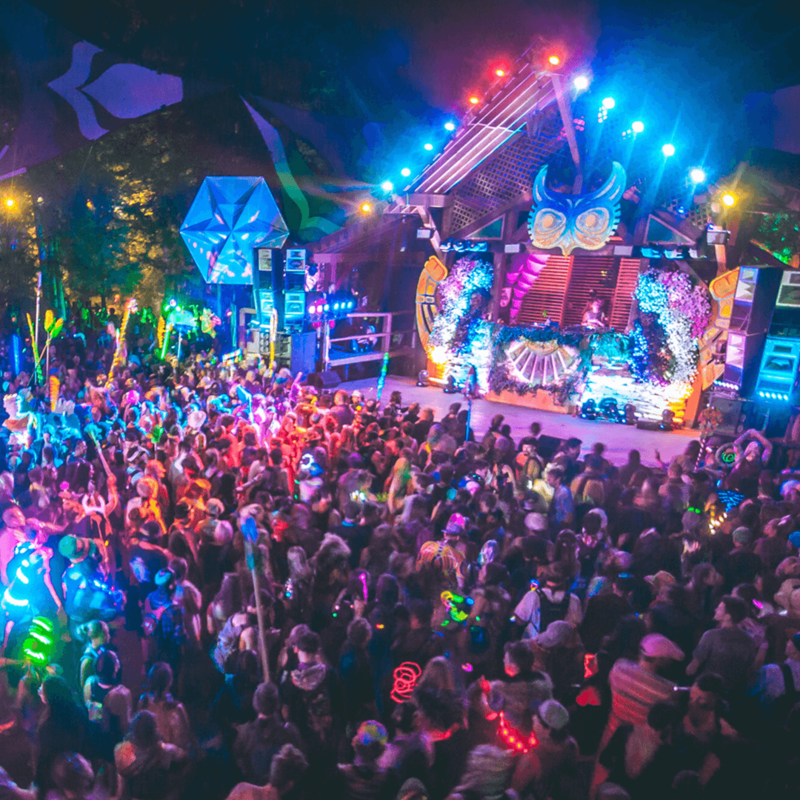 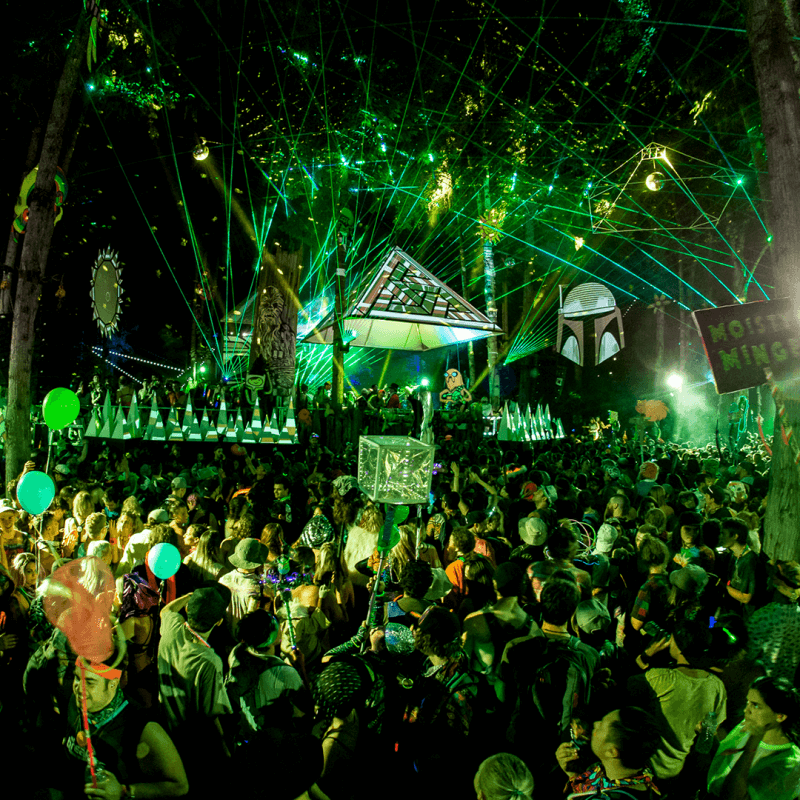 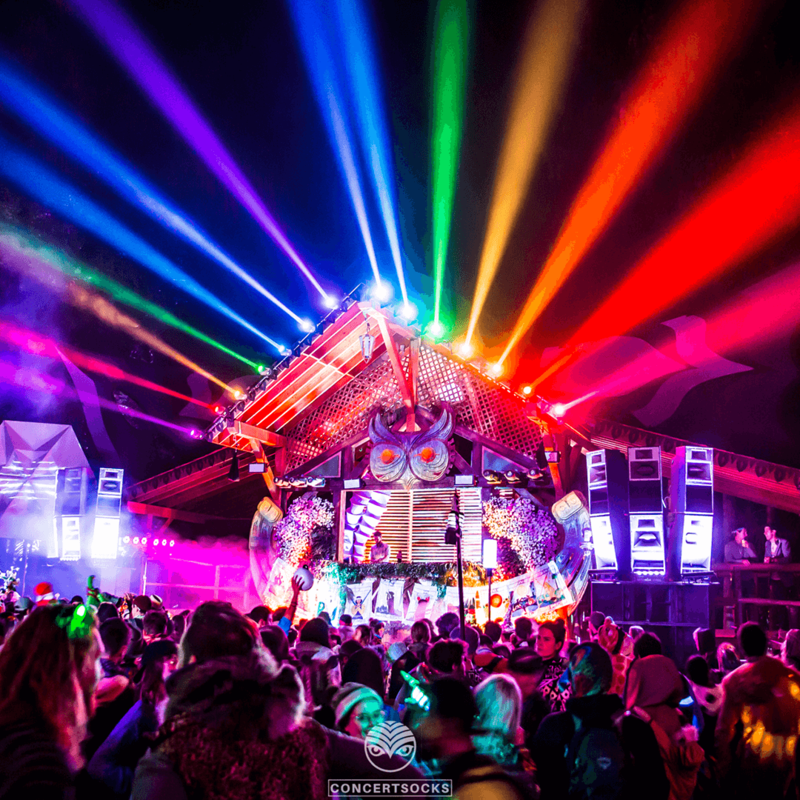 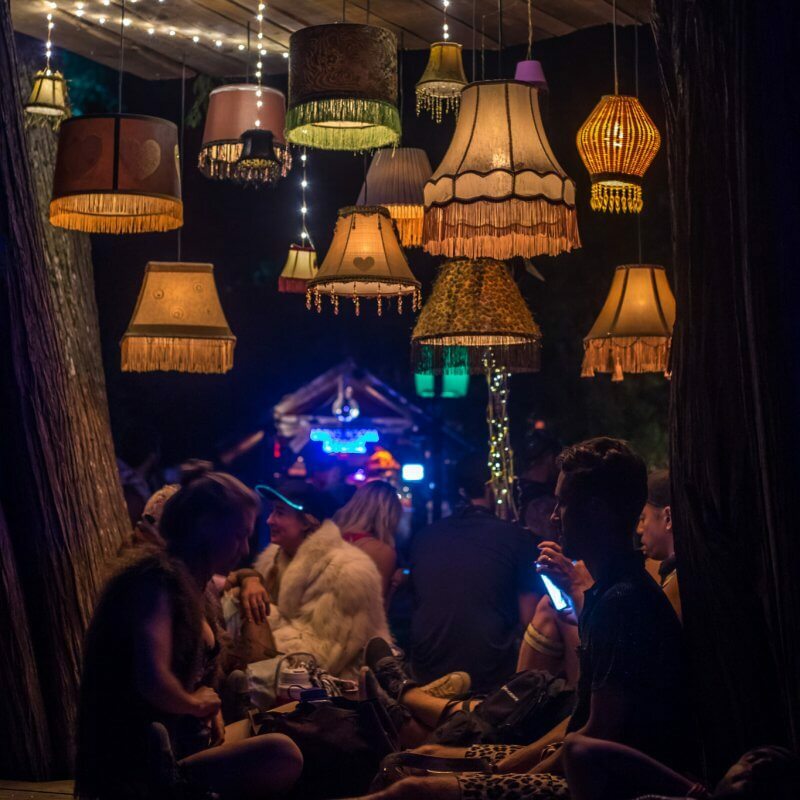 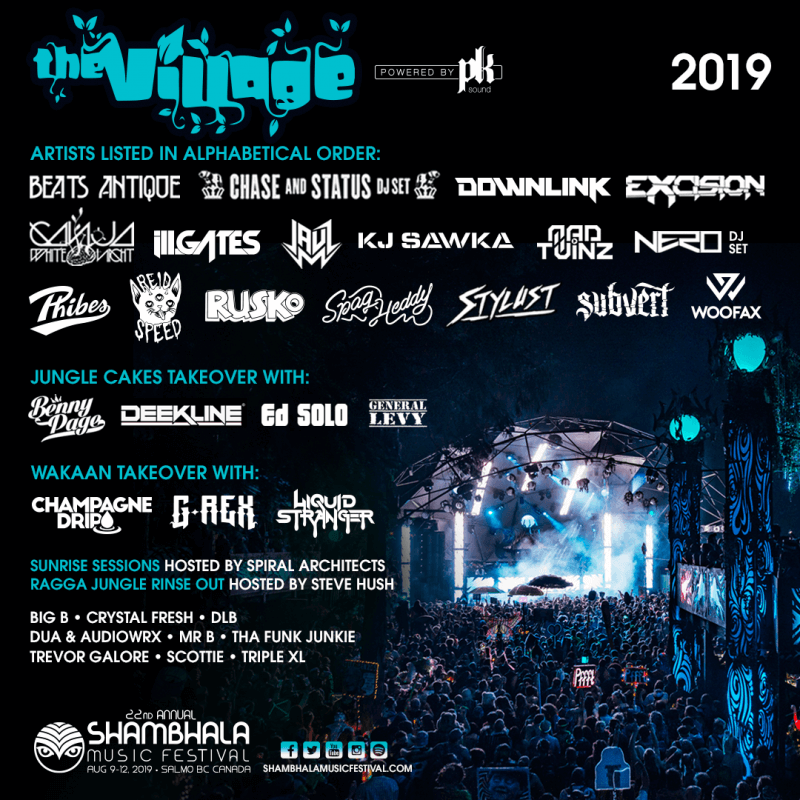 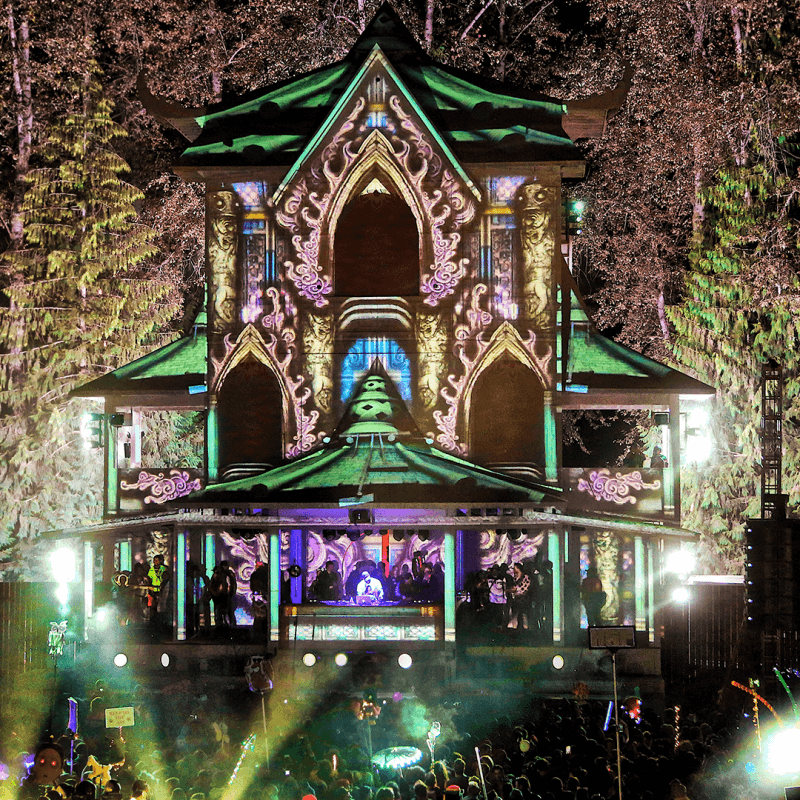 The Village Stage is an experience unlike any other, with an immersive environment that weaves through intricately decorated paths that further connect into the treehouse walkways of your childhood dreams. 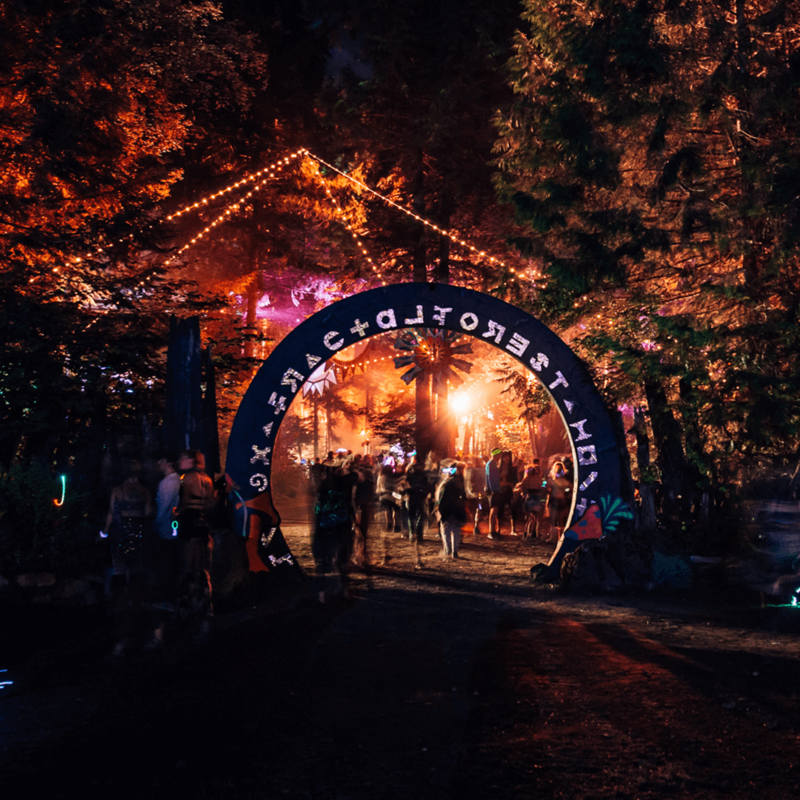 These walkways weave and intertwine around the entirety of The Village’s terrain, encircling an impressive area where revellers can dance and undulate the pulsing baselines provided by PK Sound. 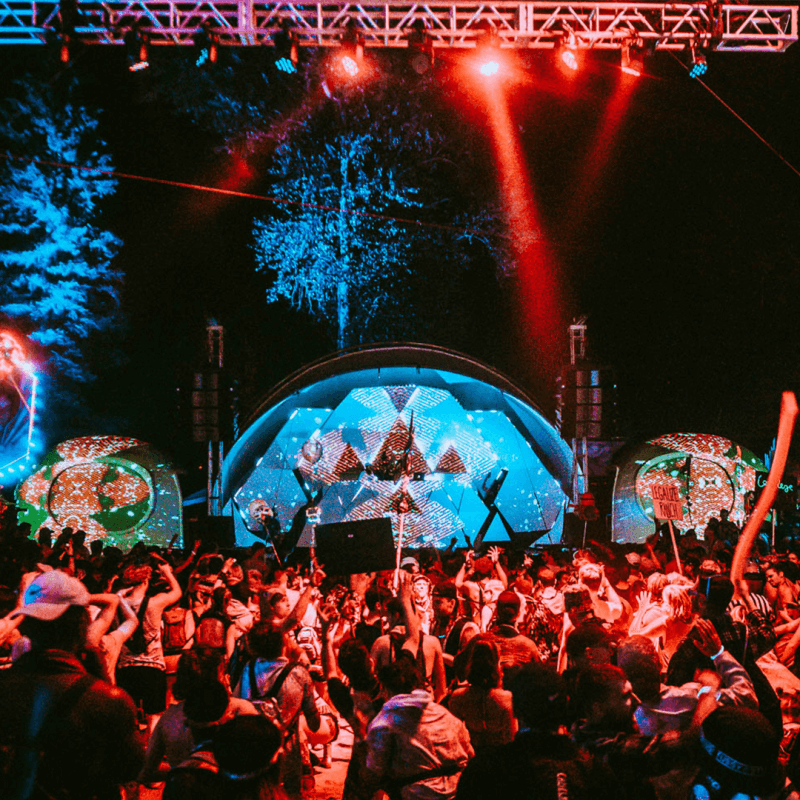 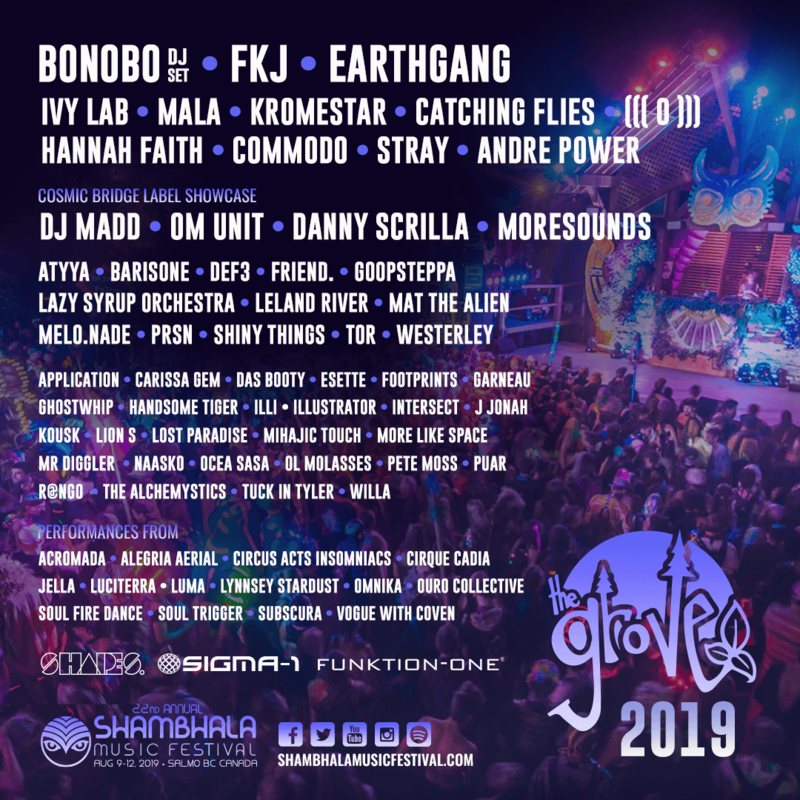 The main stage is adorned with a massive eighty foot tall geodesic structure that encompasses a chandelier-like roof, below of which you will find the world’s greatest talents in both the electronic and analog realms. 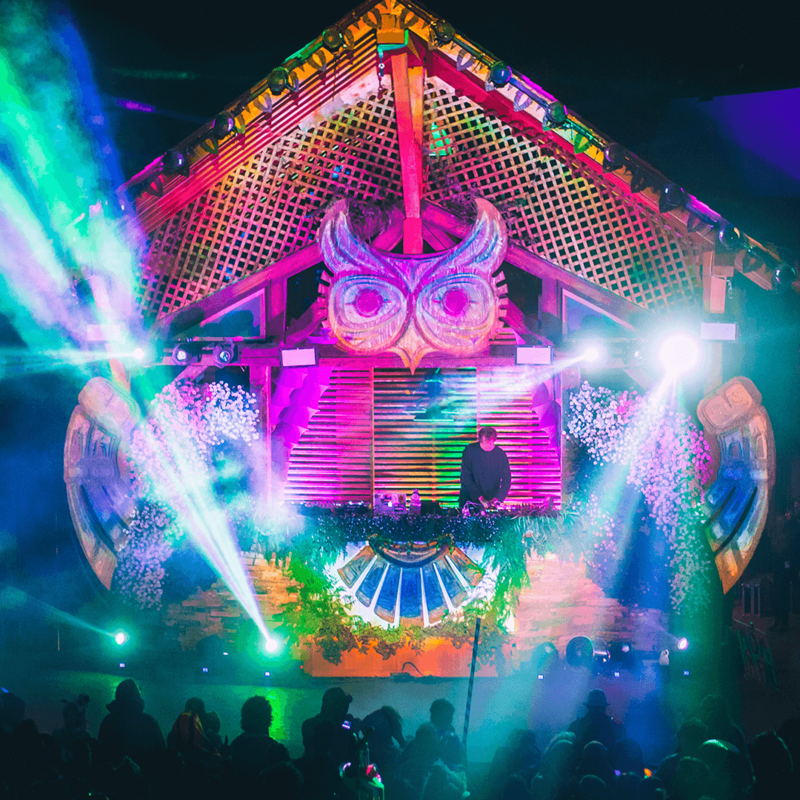 Giant video totems, as well as removable video façades adorn the main stage and add a dynamic artistic compliment to the performances that are revealed each night. 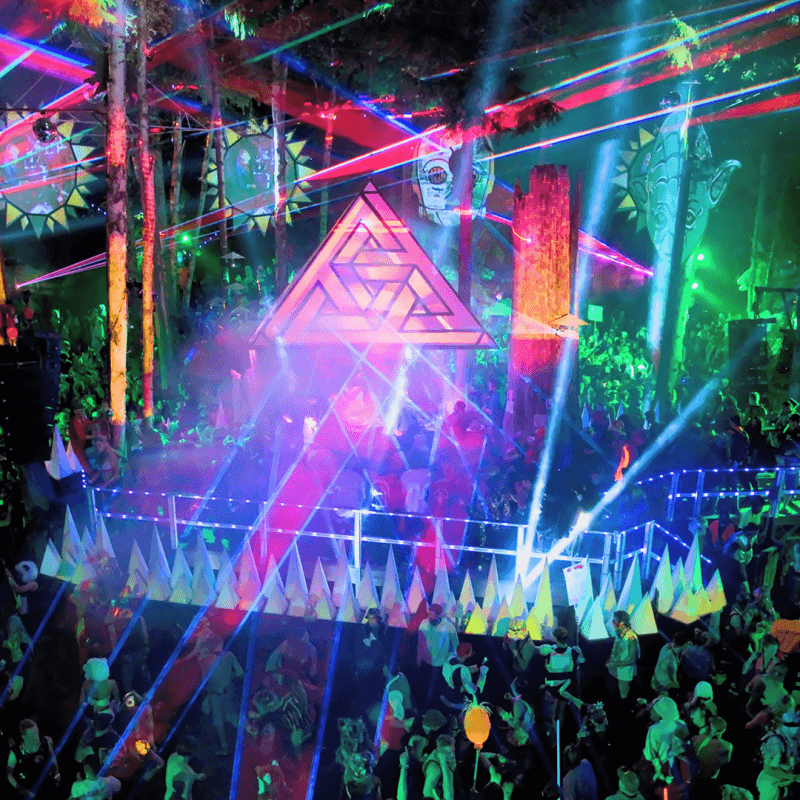 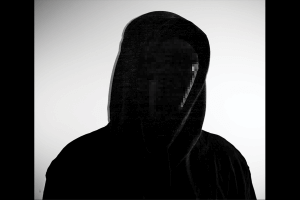 One can’t help but be transported to a realm of science fiction as the entire stage is decorated in an ancient tribal dialect, which has remained mostly a mystery…with one exception; a recurring glyph that has been roughly translated as “Krinkoia”. 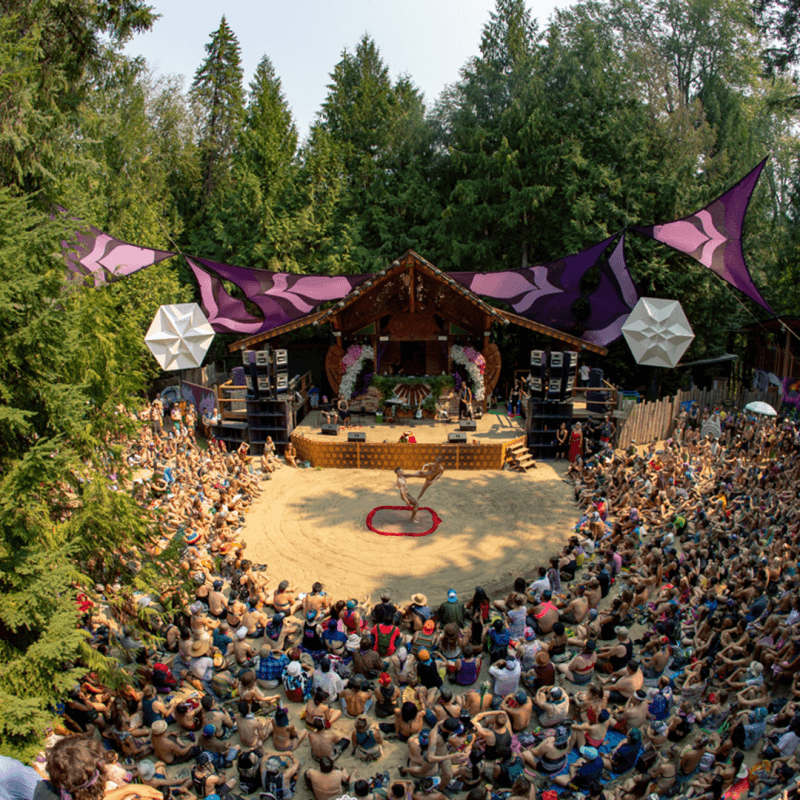 Experts believe this was an ancient tribe of aliens that may have crash landed on Earth many ages ago, that perhaps The Village was a place of their worship…a place of togetherness. 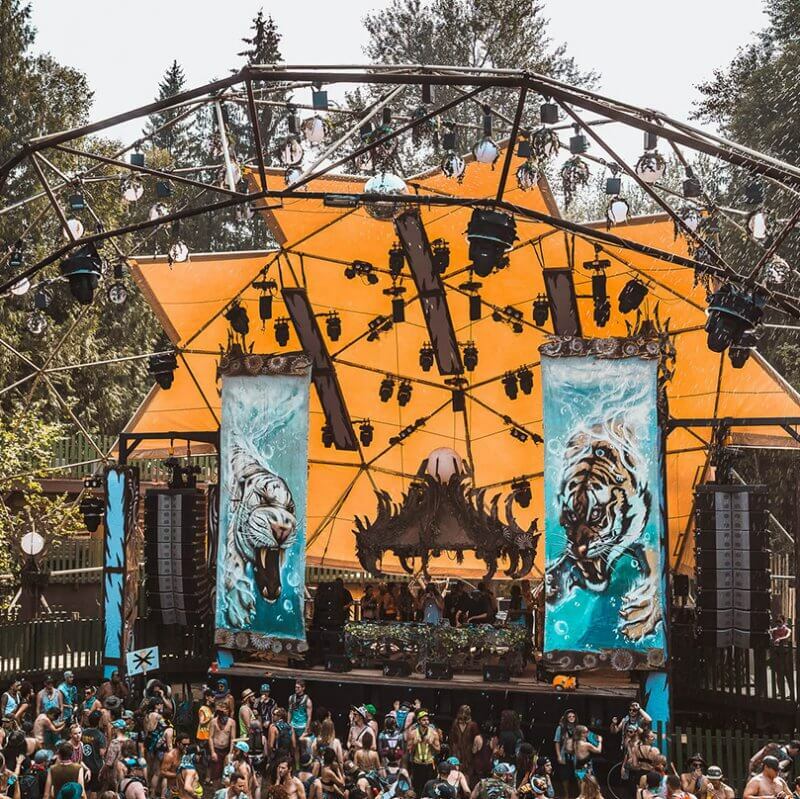 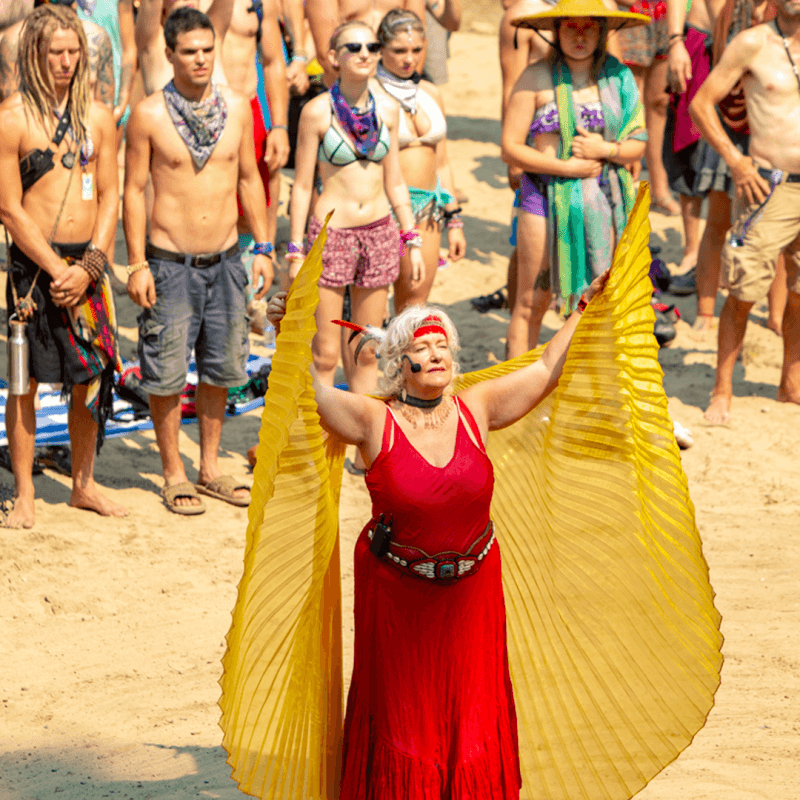 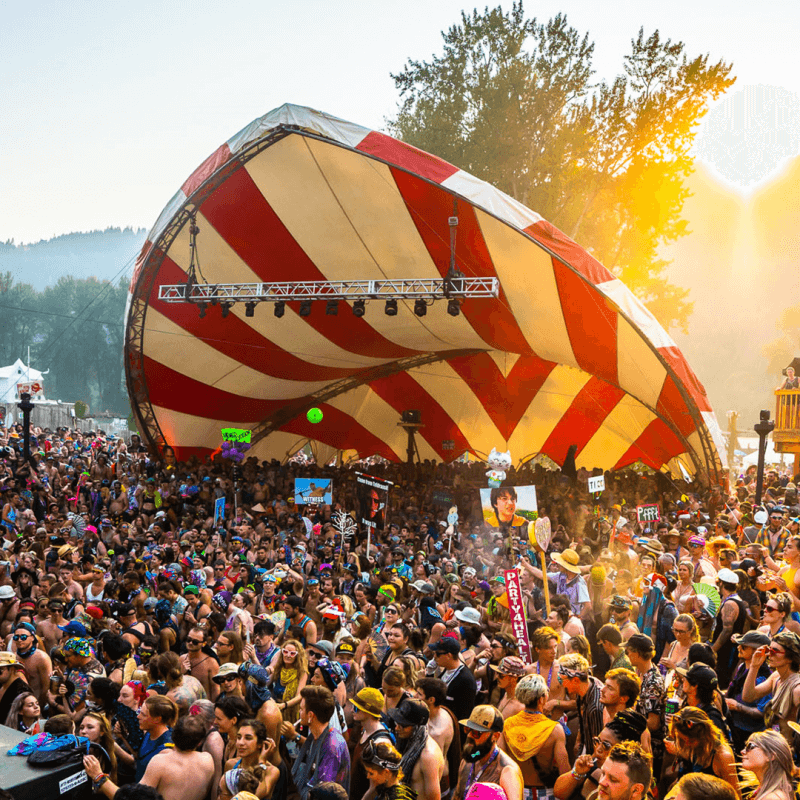 Shambhala Music Festival has a Payment Plan option for those who wish to manage their budget by paying for their ticket(s) by installments over a 3 month period. 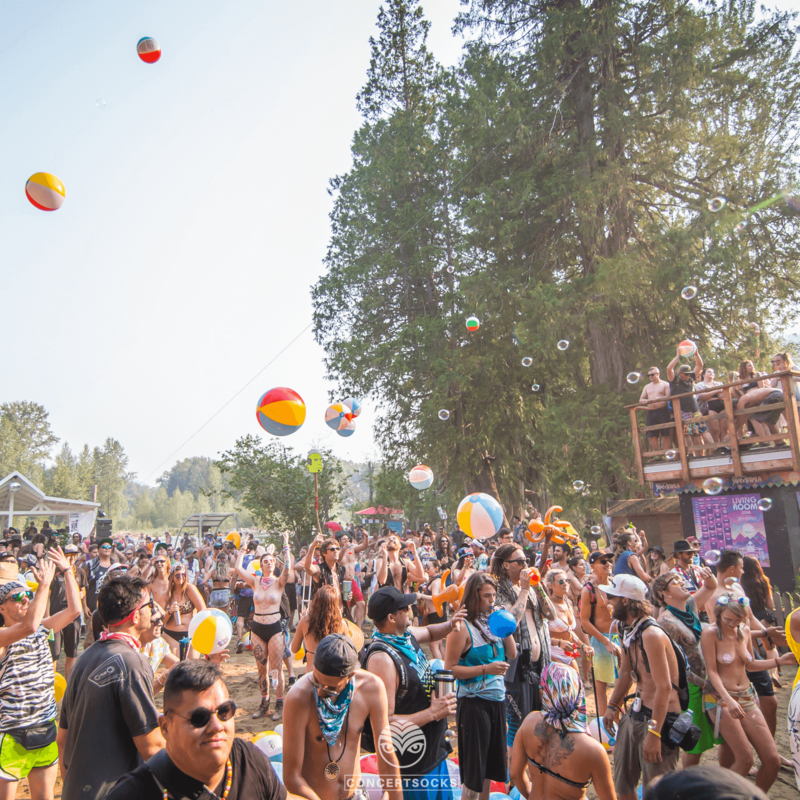 For the 2019 festival, the Payment Plan option will be available for a limited quantity of GA tickets, so don’t miss out!